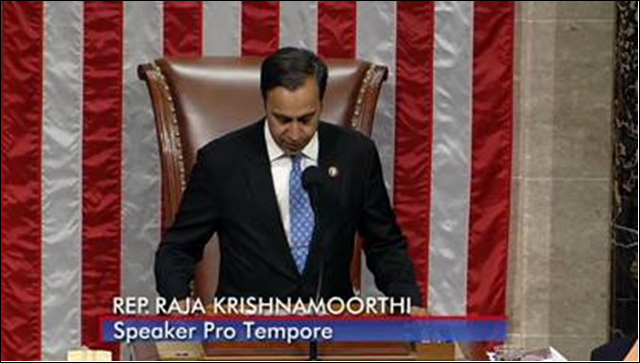 Congressman Raja Krishnamoorthi (D-Illinois) earlier this week became the first Hindu-American to preside over the US House of Representatives, as he oversaw floor debate from the Speaker’s chair. He is the second Indian-American to serve in this capacity, preceded by former U.S. Congressman Bobby Jindal, R-Louisiana, who took the gavel multiple times in 2005, according to Krishnamoorthi’s office. 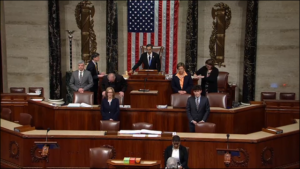 Jindal is a Christian by faith. 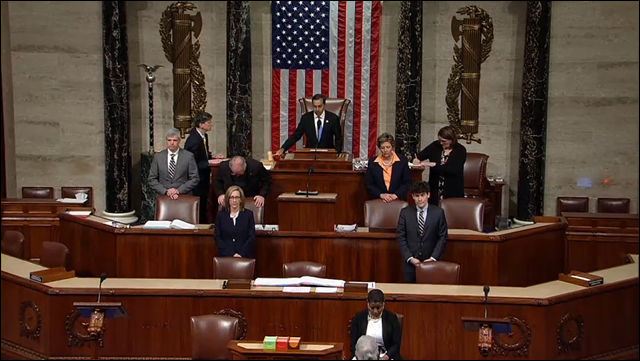 When serving as speaker pro tempore, meaning “temporary speaker,” a member fills the role of presiding officer of the House in the absence of the Speaker of the House. 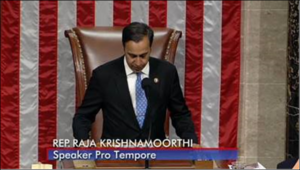 In effect, Krishnamoorthi took Speaker Nancy Pelosi’s chair April 1.